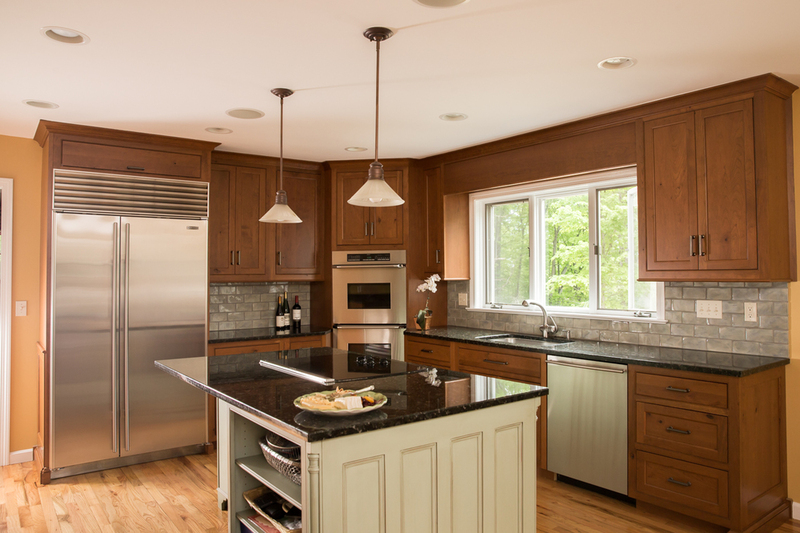 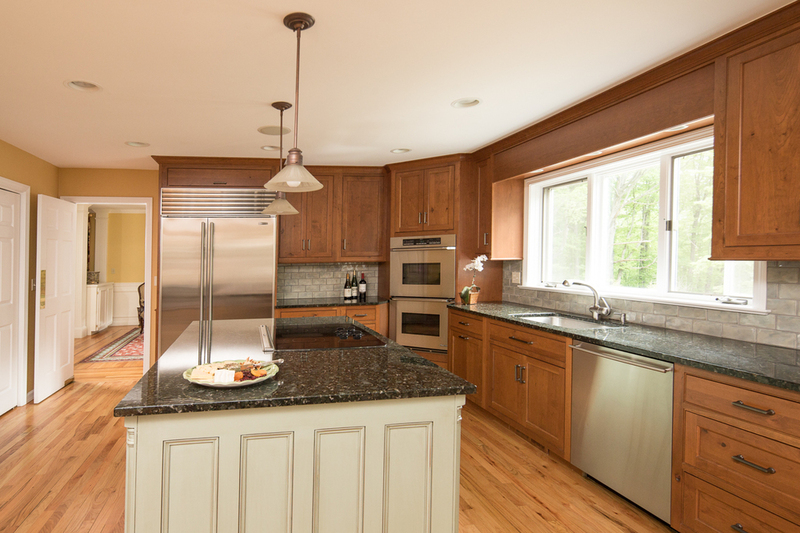 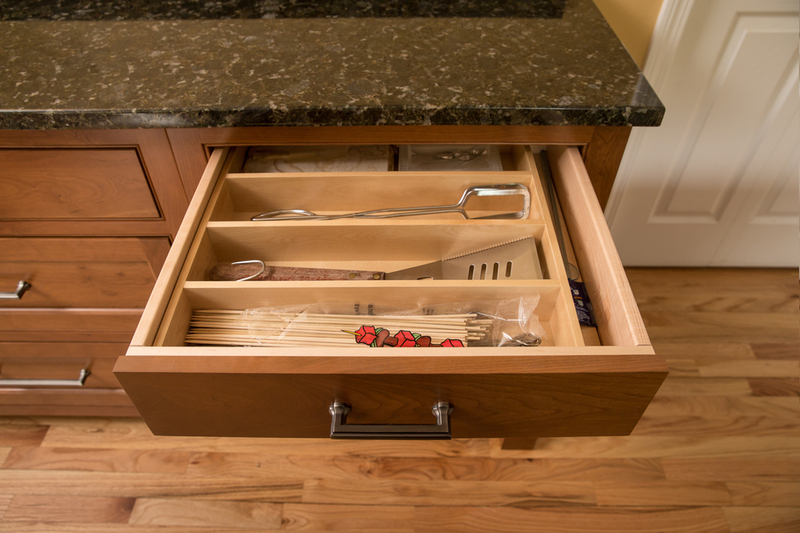 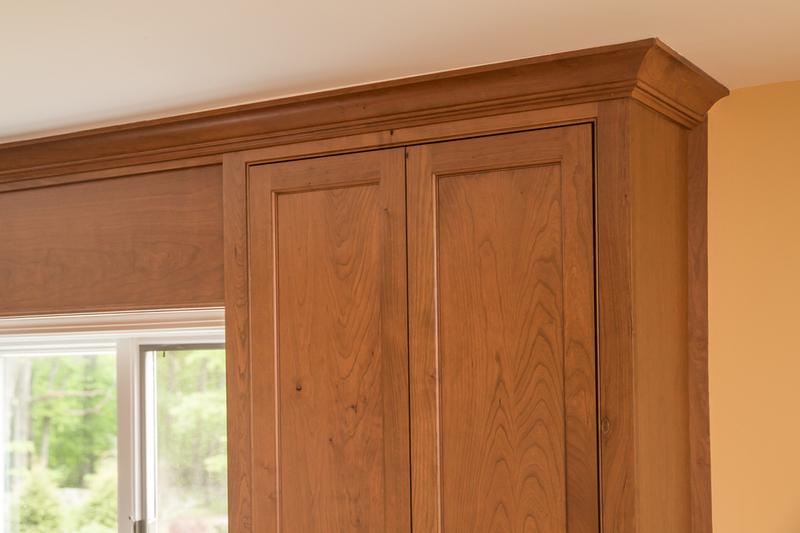 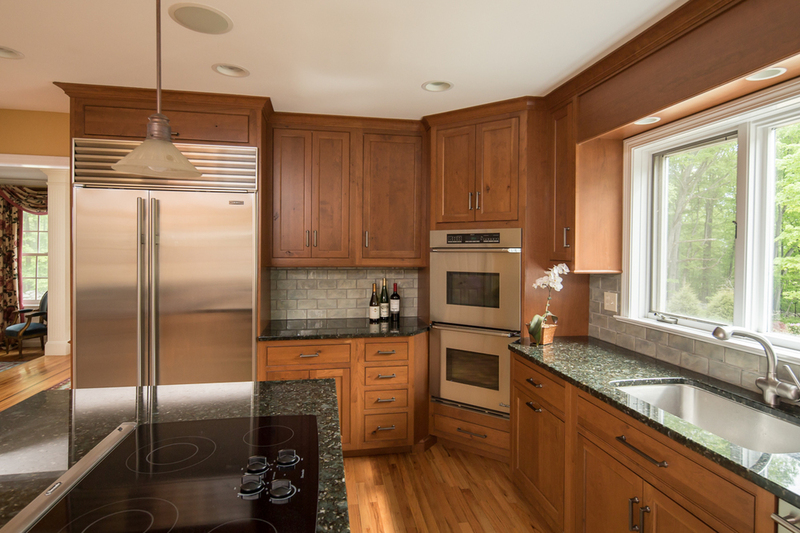 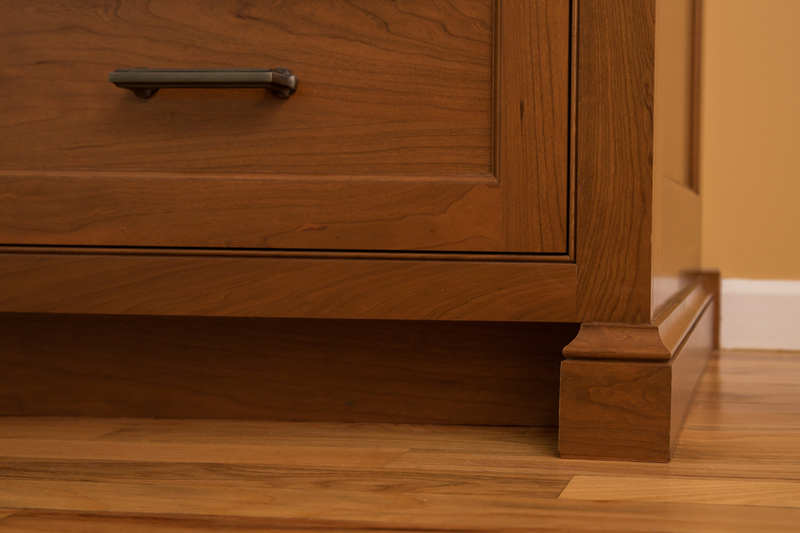 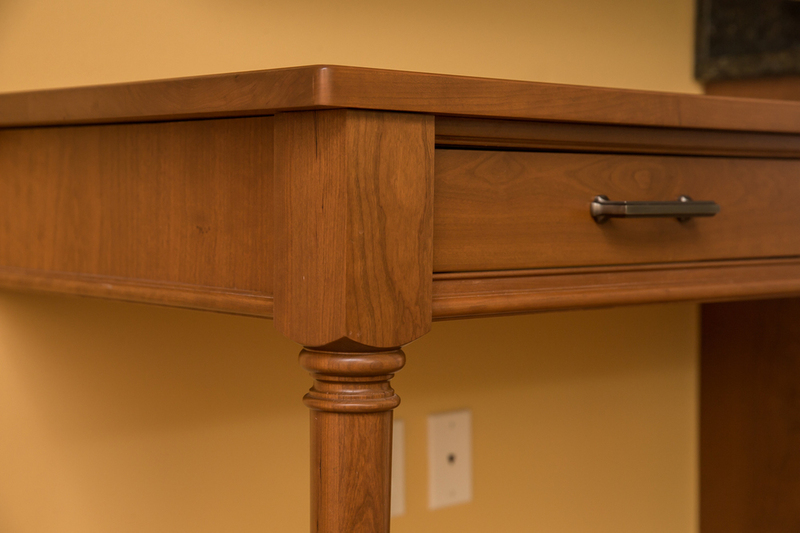 Our Ridgefield CT client wanted to upgrade their light maple cabinets and add customized storage for easier access. 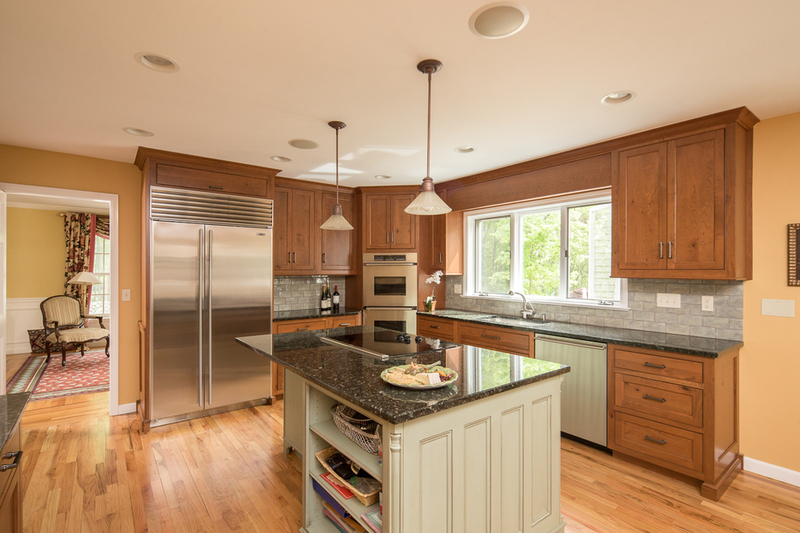 We removed the existing soffit and re-built the cabinets to the ceiling for additional storage. 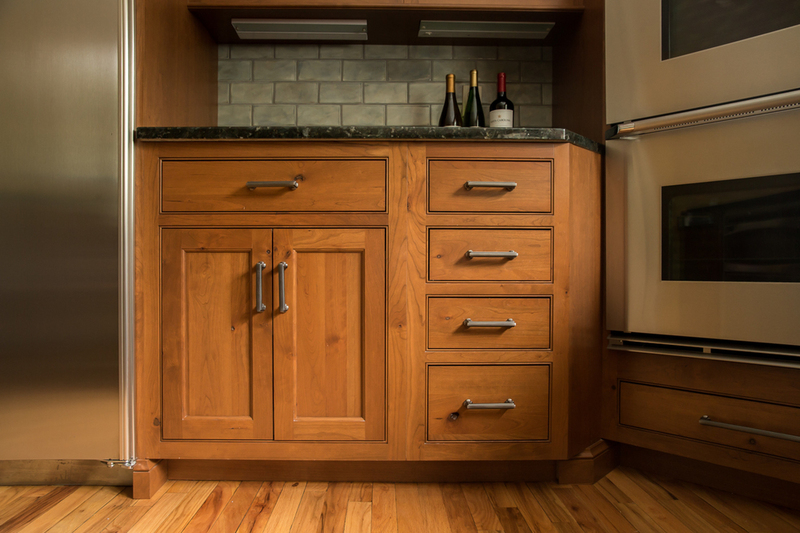 We coordinated with their interior designer and agreed that a robust autumn stain on rustic knotty cherry cabinetry would blend beautifully with their existing sage green island. 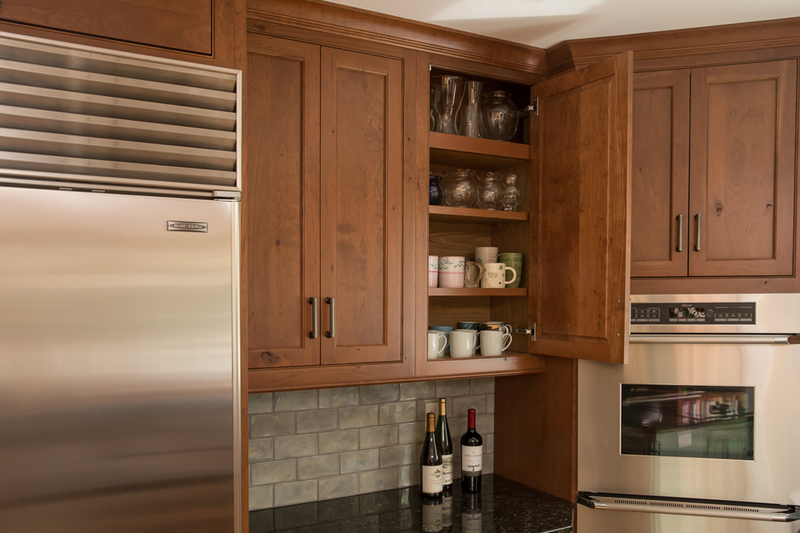 To complete the project, we installed custom spice and drawer organizers, as well as built a custom desk to match the kitchen cabinetry.